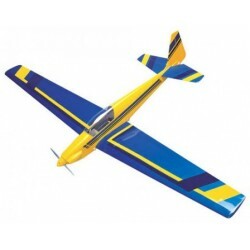 The Fournier RF4 was the first pure R/C model we launched. The charismatic original has been seen throughout the world and just begged to be modelled for radio control. Those that have seen the graceful aerobatics performed by this aircraft cannot fail to be impressed. The routines performed by the ‘Unipart’ pair 20+ years ago are remembered by many, even to this day. Get a club mate to build one as well and you can re-create this on your own field. Only the tip smoke will be missing! Just like the original, the West Wings version requires very little power to get her into the air. We have designed her to use the basic 400 size electric motors with either seven or eight cells. The design is not intended to take ‘hot’ motors and such excess power could result in structural failure, if flown beyond the design limits. We have also seen many converted to I.C. power with great success. An engine such as the PAW 80 diesel would be a good choice. Please remember that all modifications from the original design are at the owners risk. Just use your common sense (and the throttle)! With a standard 400 motor, we recommend 8 x 800 NiMh cells (2/3AA size), but if you can find them there are 1100 versions on the market now. Construction is straightforward and surprisingly simple, thanks to the highly accurate CNC cut components and careful wood selection that West Wings are famous for. Slotting the parts together ‘dry’ allows you to get familiar with the construction without the need to apply glue until the last moment. The light, high aspect-ratio wings provide the right balance of lift and drag to give the Fournier a scale like performance. 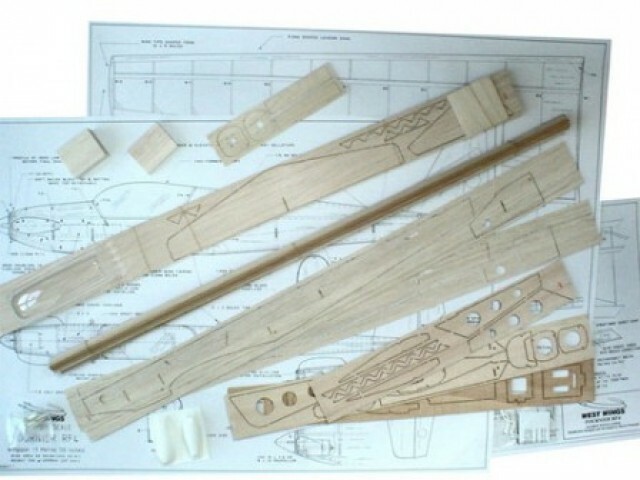 Early versions had rudder only for directional control, but all current production kits now have an aileron modification plan included. 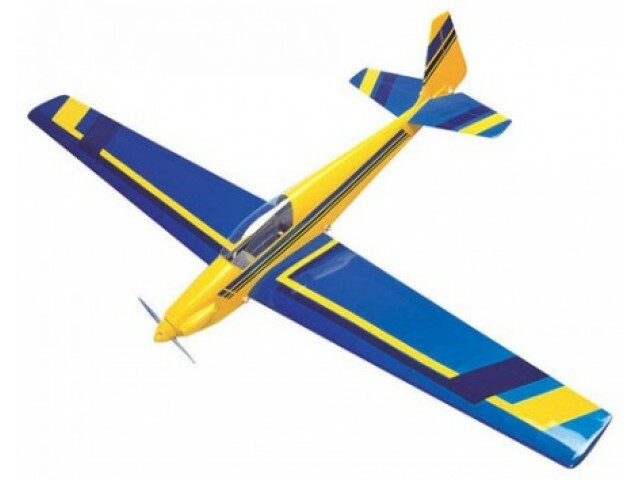 The inclusion of ailerons adds better control at low speed as well as the ability to roll. She can now perform all the same manoeuvres as the original and with true ‘style’. You will need three mini servos (9g versions are ideal) and radio system with four channels. Choose a speed controller to suit your motor, this will be around the 10-15amp area. A full-size receiver will fit but we recommend a mini version to help save weight. Flight performance is amazing and the time available under full power from the battery pack can be easily enhanced by exploiting her thermalling potential. I have seen a flight of 30 minutes or more in fairly low lift conditions by flying flat ‘thermal’ turns. Remember, she’s a powered glider by design, so why not have the best of both worlds! The West Wings Fournier can be flown by pilots with fairly limited ability. If you’ve flown a low wing model before then she’ll hold no surprises for you. If you want a powered glider, why not make it fun with the West Wings Fournier. Adhesives and paint shall be purchased separately.